With its premium ceramic nonstick surface, the Ceramic Flex Skillet is an essential piece in any backcountry chef's arsenal. 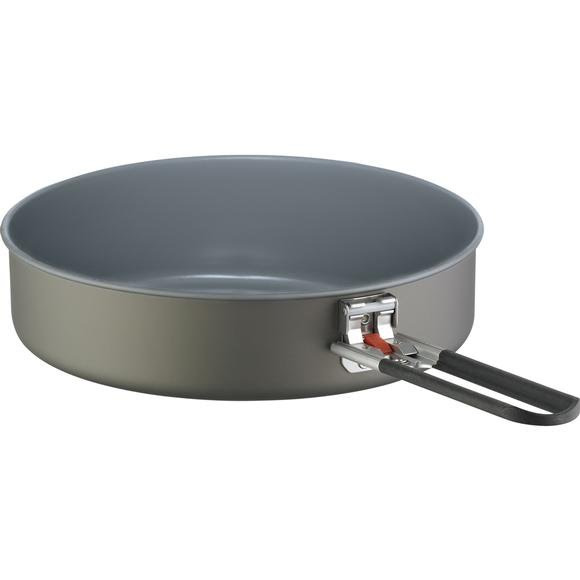 Perfect for stir-fry, pancakes, bacon and other outdoor gourmet fare, the hard-anodized aluminum skillet handles high-temp cooking and keeps clean-up hassle-free. Conveniently nests inside the MSR Flex 4 System and outside a Flex 3 System. With its premium ceramic nonstick surface, the Ceramic Flex Skillet is an essential piece in any backcountry chef&apos;s arsenal. Perfect for stir-fry, pancakes, bacon and other outdoor gourmet fare, the hard-anodized aluminum skillet handles high-temp cooking and keeps clean-up hassle-free. Conveniently nests inside the MSR Flex 4 System and outside a Flex 3 System. Dimensions (packed) 9" x 2.5"